class="post-template-default single single-post postid-371108 single-format-standard group-blog masthead-fixed full-width singular wpb-js-composer js-comp-ver-5.7 vc_responsive"
The project, developed and owned by Juhl Energy, is among the first of its kind in the country to pair wind and solar on the same site. A 2-megawatt turbine and 500-kilowatt solar installation share an inverter and grid connection, reducing equipment costs compared to two separate projects. The pairing is expected to start producing power this month. Lake Region Electric Cooperative in Pelican Rapids, about 30 miles north of Fergus Falls, will buy the power for its approximately 27,000 members. Juhl managing director Clay D. Norrbom said the plug-and-play nature of the system has attracted at least five other customers, including an industrial company in Iowa. Other customer prospects include cooperatives and municipally owned power providers in Minnesota, Wisconsin and Iowa. He predicts Juhl will build at least three this year. The 2-megawatt wind turbine and 500-kilowatt solar installation share an inverter and grid connection. Juhl was involved two years ago in a proposed wind-solar hybrid in Red Lake Falls that would have been the first in the country. Now owned by a former partner in the project, that hybrid remains mired in debate over pricing issues involving utility Otter Tail Power that continues at the Public Utilities Commission. Electricity generated by wind-solar hybrids gets transmitted directly to distribution grids of utilities or companies. As the cost of solar dropped, the attraction of adding it to wind installations grew. Global Market Insights predicts hybrid solar wind storage projects will increase 4 percent in the United States by 2024, becoming a $1.5 billion market internationally. A recent report said renewable integration targets adopted in a 2015 United Nations Climate Change Conference is driving part of the growth, along with renewable energy goals and dropping prices for the technology. The hybrid offers an opportunity to increase capacity. Wind turbines operate at a 50 to 55 percent capacity, Norrbom said, while solar in the Midwest sits at 15 percent. By combining power from both sources the hybrid reaches a capacity factor of 65 to 70 percent, Norrbom said, at a cost substantially less than what Lake Region pays for electricity from its transmission and generation provider Great River Energy. Juhl decided against adding storage due to cost and regulatory issues, both challenges he predicts will dissipate in the future. Other cost savings came through technology and financing. Solar and wind farms need inverters to convert direct current to alternate current used by businesses and residences. Using an inverter built into the turbine and not needing a separate solar inverter saved at least 10 percent off the cost of the nearly $5 million project, he said. Secondly, renewable energy credits created by the project have been sold to Bank of America, giving a financial cushion large enough to contribute to a better price for Lake Region, Norrbom said. The sale of the renewable credits allowed Juhl “to lower the rate we charge Lake Region [for electricity] because we got somewhat of a subsidy from a corporate sponsor who wanted to use the [credits] to offset their use of electricity in Minnesota,” he said. Selling the renewable credits prohibits Lake Region from claiming it as a green project, but that turned out to be an acceptable tradeoff in return for greater cost savings, Norrbom said. The pairing is expected to start producing power this month. Lake Region CEO Tim Thompson said the project lowers costs to ratepayers and “gives us a local renewable energy source with the wind and solar production that will tie into the local distribution grid we already own.” The co-op can only produce electricity for up to 5 percent of its generation demand, he said, but the wind hybrid project does not put Lake Region near that threshold. 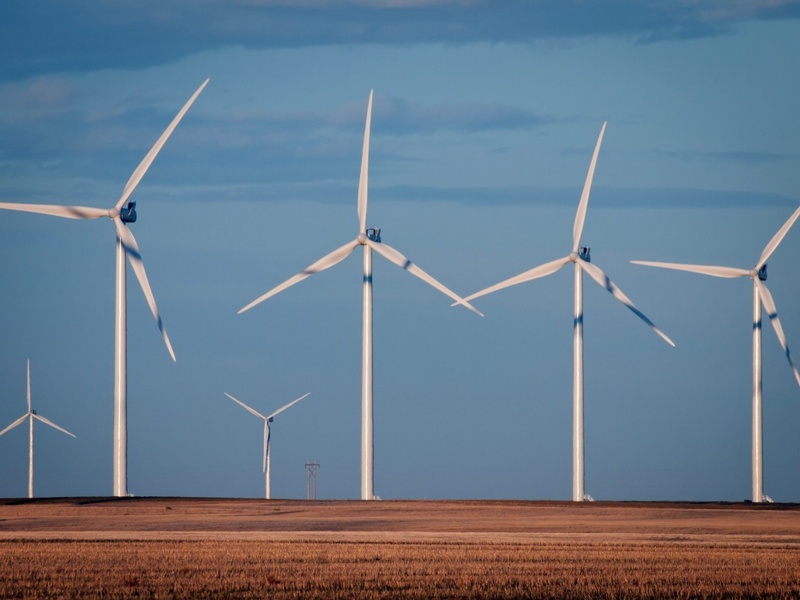 One barrier to further adoption of wind-solar hybrids has been the rules and tariffs that regulate electricity in the Midcontinent Independent System Operator, Inc. marketplace, said Beth Soholt, executive director of Clean Grid Alliance, which promotes wind and clean energy. MISO has been working with the Clean Grid Alliance and other stakeholders on changing the rules to allow for more hybrids. Juhl Energy founder Dan Juhl wants to see larger hybrids in the category of 5 MW of wind and 1 MW of solar. Greater economies of scale would bring even more savings for ratepayers. The problem is many cooperatives and municipal-owned electric companies have contracts with their generation and transmission cooperatives or utilities limiting self-generated electricity to 5 percent of their demand. Too many cooperatives are “shackled to antiquated contracts” that prohibit them from saving ratepayers hundreds of thousands of dollars from buying renewable energy, Juhl said.